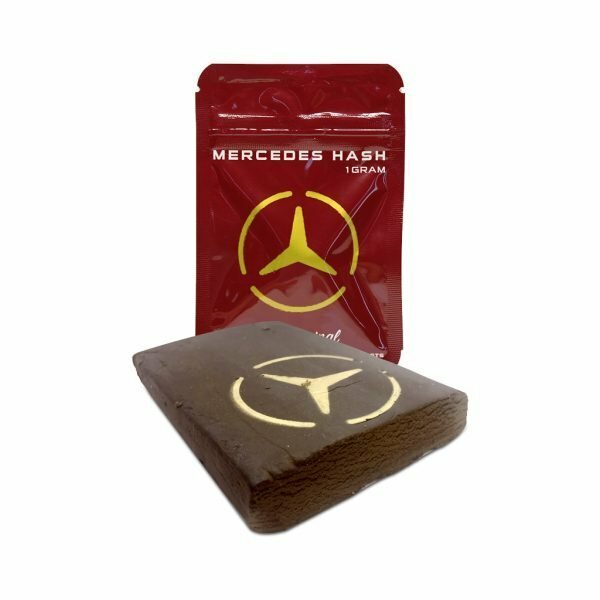 Black Mercedes is a mid-tier traditional hash. It has a dark brown surface and a lighter brown interior and is lightly aromatic, with spice notes and an earthy flavour profile. It has a soft, malleable consistency that makes it easy to work with, especially after heat has been applied. When inhaled, this sticky rubbed hash fills your lungs with an earthy, resinous smoke and once exhaled leaves a soft and pleasant aftertaste. A perfect addition to a joint or on its own in a bowl. The high is light and talkative.